Full of adventures trekking tour Tusheti duration is one week. Best time from July to September. Overnights in guesthouses and camps. Hiking distance – 80 km. 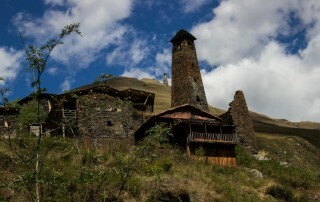 Tusheti is located on the north slopes of Grate Caucasus range – one of the wildest and most remote part of Georgia, Kakheti region. Within the Trekking tour Tusheti you will see: Abano Pass – Lake Ortskali – Lake Samkhirne – Village Vestmo – Village Vestomta – Village Gogrulta – Village Dochu (or village Bukhurta – Village Ilurta or Saalmis Gori – Village Vakisdziri) – Village Jvarboseli – Tsovata – Village Jvarboseli – Nakhaicho Pass -Mount Gonta – Village Kvemo Omalo. 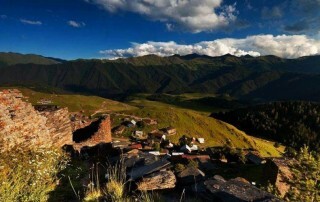 Tusheti trekking tour – duration six days including the road. Overnights in guesthouses. Within the tour you will be able to see: Alaverdi Cathedral, three of Tushetian valleys: Chagma, Pirikiti and Chanchakhovani; Lake Oreti. 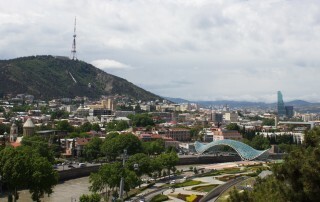 At 7 am the departure from Tbilisi to the direction of Alaverdi Cathedral through the Gombori pass. After visiting Alaverdi Cathedral we’ll drive to the direction of Tusheti. On the way, we’ll have a lunch in nature. Even the road takes 5 hours, you will not feel tiredness. All the time of driving you will have unbelievable views of Caucasus mountains covered with a lot of springs and some glaciers. Around 14:00 pm we’ll be in Kvemo Omalo. 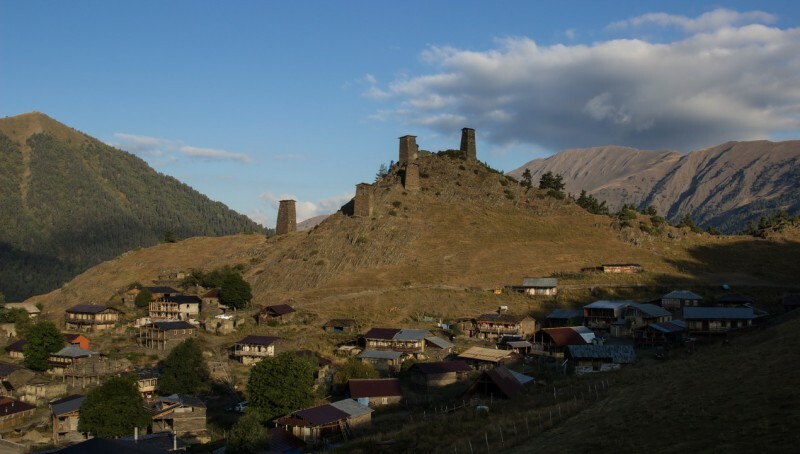 It’s an administrative center of Tusheti. We will need 1.5 hour to reach village Dartlo. After breakfast, we’ll start trekking to village Kvavlo. This beautiful village with towers is standing up to Dartlo. From here are perfect views on Pirikiti gorge. We will continue our trekking to Dano and with the mountain path till Chesho. Lunch in nature. Then we will come down on a car road and trek till Parsma. Dinner and overnight at a guesthouse in Dartlo. 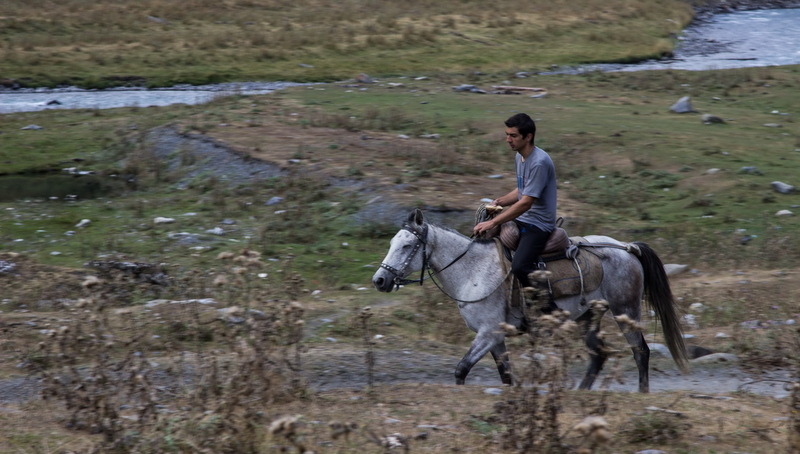 After breakfast, we’ll drive by car till Mirgvela and continue trekking in Tusheti and go to Unagira mountain. (3050m) From here you will have picturesque views on both: Pirikiti and Gometsari valley. From the top of the range, you will see villages: Bochorna, Dartlo, Kvavlo and Chesho. This trekking route is the most beautiful from the middle of June until the middle of July, with flowering Rhododendron and a small lake on the top of the range. After this period flowering is over and lake disappears but the views are still impressive. Lunch in nature. Dinner and overnight at a guesthouse in Mirgvela. Dinner and overnight at a guesthouse in Upper Omalo. Driving to Kumelaurta and trekking to Oreti lake. This lake is located on 2600 m high. During the walk, we will meet the shepherds and see their real life in mountains. 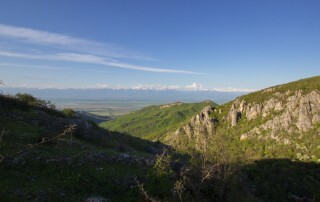 From this mountain, you will see all Tushetian gorges with its beauty. In the evening you will come down to the village Kumelaurta full with unforgettable memories. The car will take us back to Omalo guesthouse. Trekking distance 15 km. Horse riding distance: 23 km. Minimal altitude in case of both options: 1700 m; Maximal Altitude in case of both options: 2850m. On your demand This tour can be continued around Kakheti.